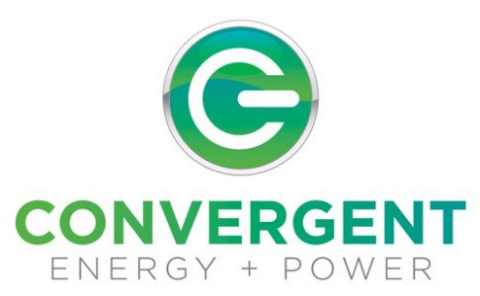 NEW YORK--(BUSINESS WIRE)--Today Convergent Energy + Power (Convergent), now the largest pure-play operator of energy storage in North America, announced the acquisition of 40 MW of flywheel projects in Stephentown, NY and Hazle Township, PA. Purchased from Rockland Capital, the flywheels have been providing stability services to the electrical grid since 2011 and 2014 respectively. Comprised of 400 five-ton carbon composite and steel flywheels, the combined systems can move 80 million watts of electricity in a fraction of a second—the average suburban home uses 5,000 watts during the daytime—on and off the electrical grid to help stabilize the flow of power. Convergent will continue to operate the flywheels to meet evolving energy needs for PJM Interconnection and NYISO grid operators. Convergent, a technology-neutral asset developer, manages all aspects of energy storage development for its grid operator, utility, and industrial customers. The acquisition furthers Convergent’s track-record of deploying capital into energy storage solutions to solve otherwise expensive infrastructure constraints. Additionally, these assets are part of a suite of energy storage systems Convergent owns and operates that help transition the electrical grid away from fossil fuels and toward a more cost-effective, resilient, and sustainable power system. These flywheel projects are uniquely positioned to provide balancing services to an electricity grid that is incorporating more intermittent and variable sources of generation like wind and solar. Flywheels, one type of energy storage technology, store electricity as rotational energy (which is released by reducing the speed of the rotor) and can balance the grid in milliseconds, exponentially faster than ramping coal or nuclear power plants and significantly faster than state-of-the-art natural gas generators. Flywheels do not experience capacity degradation when charged and discharged, meaning that these facilities can be used to balance the grid for decades to come. The flywheel projects’ technology and manufacturing facility were acquired by RGA Investments, LLC, a financial arm of RGA Labs, Inc., which will continue to service these projects going forward. With this acquisition, Convergent’s portfolio of completed projects totals 66.5 MWs across seven projects in North America. 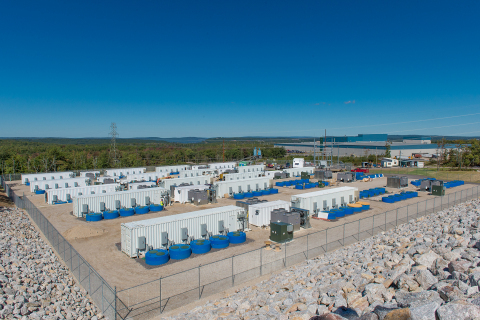 Founded in late 2011 with a focus on energy storage project development, Convergent Energy + Power has more than $200M of contracted projects in North America. The company has over 120 MWs and 240 MWhs of projects in operation, construction, or under contract to be built. Convergent manages all aspects of the energy storage asset development cycle for its utility and industrial customers, including project-specific opportunity identification and economic evaluation, contract and financial structuring, engineering-procurement-construction, as well as operations and maintenance. For more information about Convergent, please visit convergentep.com.